Opening Reception: December 11, 6-11 pm. December 12-14: 1-8 pm daily. December 14: Brunch and performance by Athena Kokoronis at 2 pm. Kitchens & Capitalism examines the way different types of kitchens resist and/or replicate capitalism. The exhibit will collect drawings, models, diagrams and stories of different kinds of kitchens: historical, home, collective, and industrial. Performance and workshops will examine ways of performing the kitchen and how our performances of the kitchen shape our worldview. As part of our research we will map and remodel Flux Factory’s collective kitchen. Economics began in Greece, as household management and later became the management of material resources. Contemporary economics is all too often lost in a fiction of financial instruments and abstractions. Economics without a kitchen is a cruelty, and for many this abstraction is as real as an empty stomach. Capitalism is domesticated by the kitchen, as our relationship to food and cooking has changed our desires have been rewritten over the stove and around the table. This project approaches kitchens with the fervor of a thinktank and foregrounds the economic matters at the kitchen’s heart. Choreographed by Athena Kokoronis in collaboration with performer, Nikima Jagadev, Introduction is a movement before the movement. It is the first iteration of a performance-work and brunch that proposes a Domestic Performance Agency. Domestic Performance Agency is a space where choreographic problems meet domestic strategy. It is in part informed by Kokoronis’ decade-long work as a domestic laborer. Introduction is in part, a dedication to three of her past clients; all of whom are mothers, acclaimed artists, and whose studio practice took place within their domestic setting. Walker Tufts uses writing, art, and dialogue to explore collaboration, institutional forms, pedagogy, and landscape. 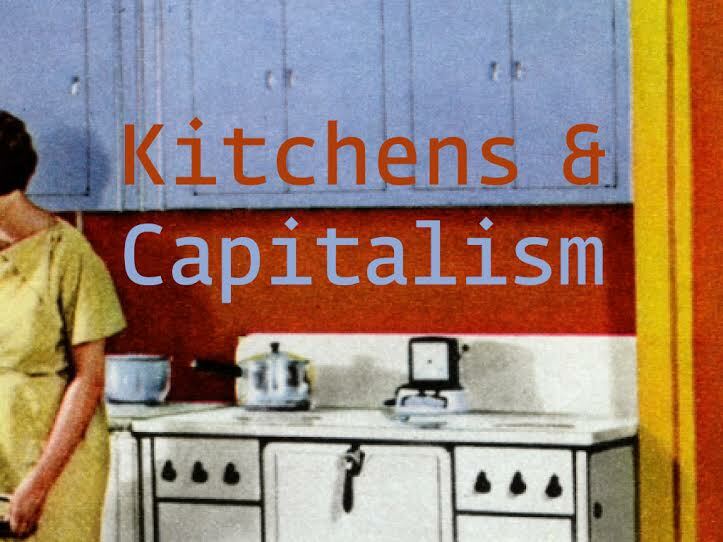 Kitchens & Capitalism involves Emily Ensminger, Greg Stewart, Carina Kaufman, Grace Amber, Hannon Welch, Will Owen, Athena Kokoronis, and others. Kitchens & Capitalism is partially funded by Foundation for Contemporary Arts Emergency Grant, with special thanks to The Land Institute.